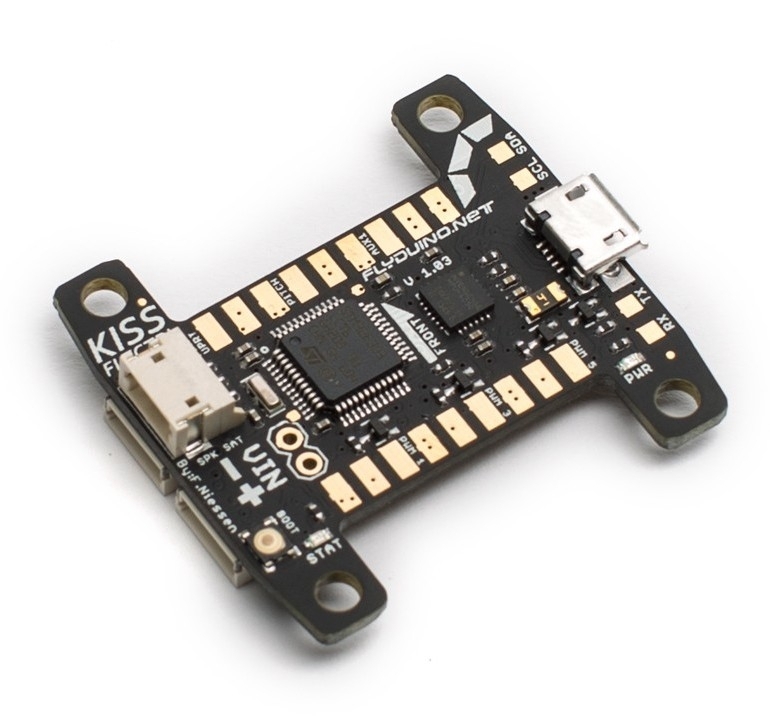 As we felt the need for a modern more simplified 32bit Flightcontroller, we made the KISS FC, which includes a complete own Flight Controll Firmware development who get rid of some old ballast, this took some time, but the result is very pleasing. The Idea was to simplify some things and due to intensive long term testings of some pretty good Pilots we where able to optimize the code to a point where you hopefully get your quad in the air quite quick. Normally you just need to choose your Airframe in the GUI and are able to fly (at least with KISS ESC), otherwise you can download presets of well knowen Pilots for given configurations and of course can tweak the PID yourself over the GUI. 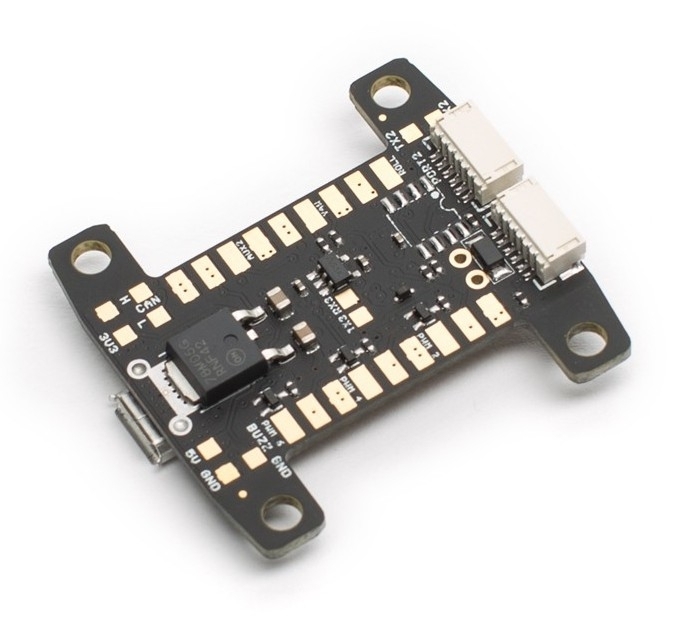 The software setup side is reduced as far we can, many things are allready taken in to account for you, if you bring some solid soldering skills you should be able to build your quad pretty quick. This way you get usefull informations like the Voltage of your battery, current consumption, ESC temperature and motor RPM. Normally you dont need to download any driver for the USB support. Windows 7 8 and 10 care for this on their own after you connected the device. The connection diagramm / Pinout you find in KISS-FC GUI. 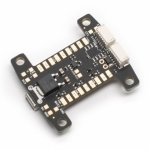 Note: Please extract the KISS_OSD.ZIP and copy the "MAX7456" folder into the "libraries" folder of your Arduino IDE.